Cut the exhaust rear muffler (2) with the CH-6614 pipe cutterat position (1). 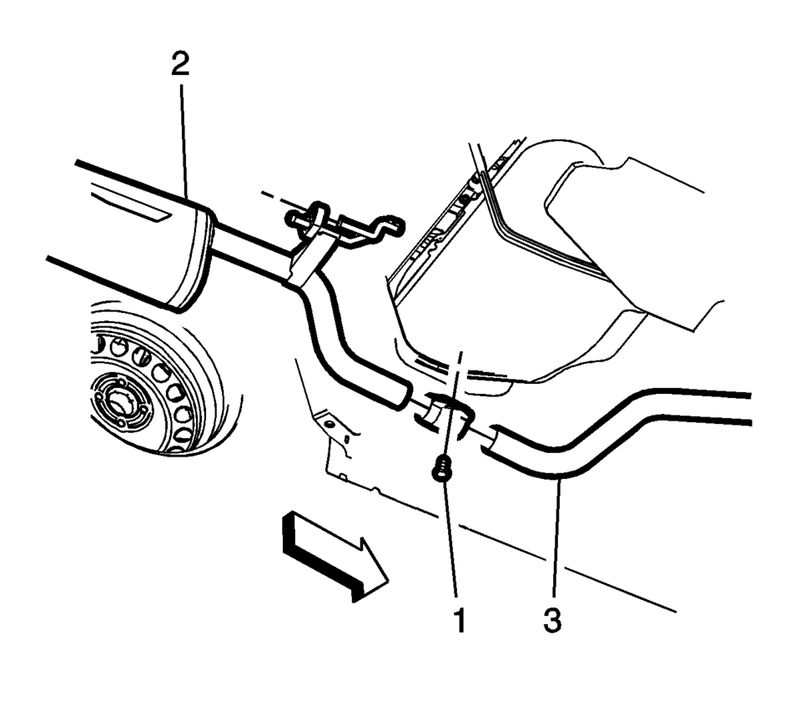 Remove the rear exhaust muffler (2) from the exhaust isolators (1). Sand smooth the front exhaust pipe for ease of installation. Remove the exhaust rear muffler. 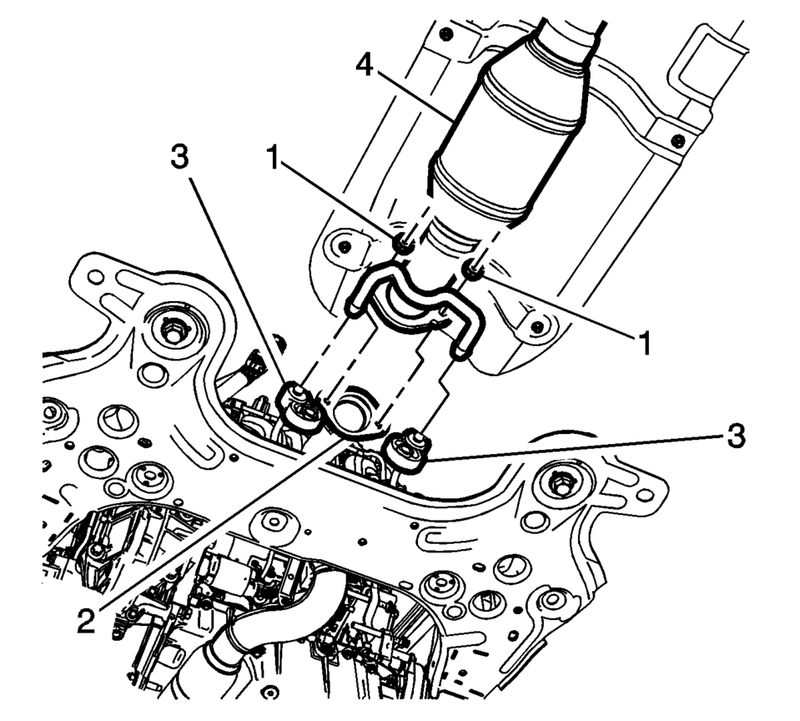 Remove the exhaust front pipe fasteners (1) and discard the gasket (2). 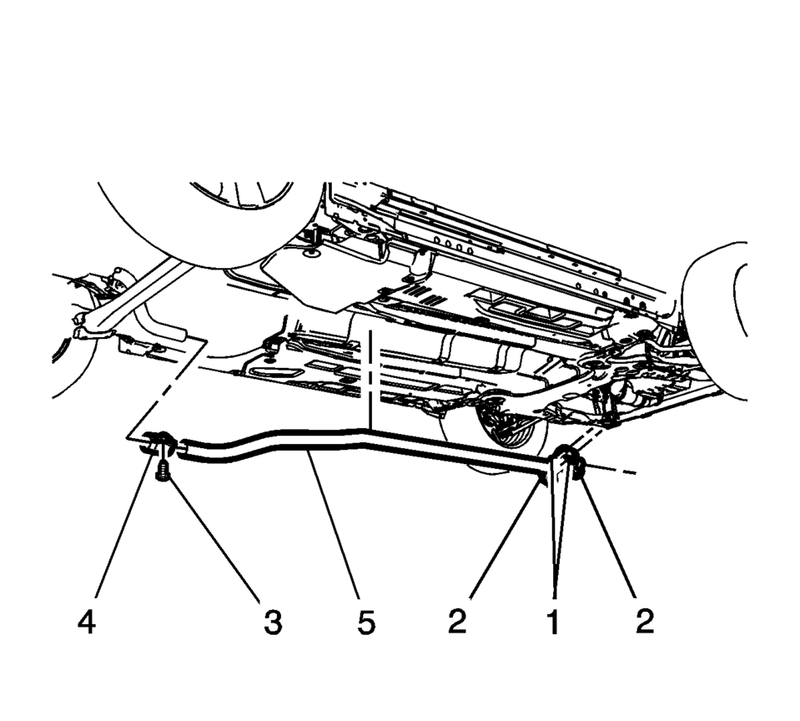 Remove the 3-way catalytic converter (4) from the exhaust isolators (3). Lower the intermediate exhaust front muffler pipe (5). Remove and transfer the catalytic converter, if necessary. 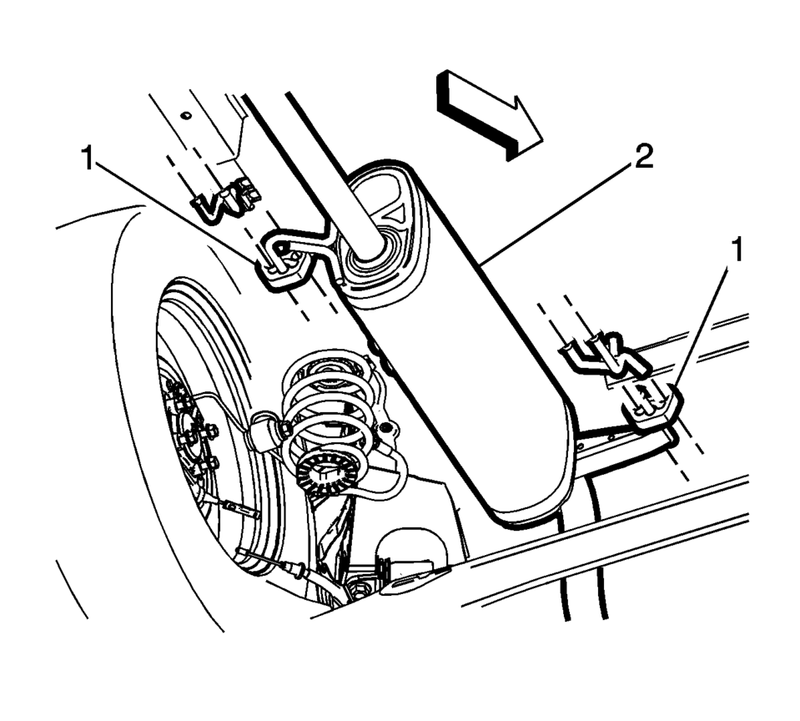 Install the exhaust rear muffler (2) into the exhaust isolators (1). 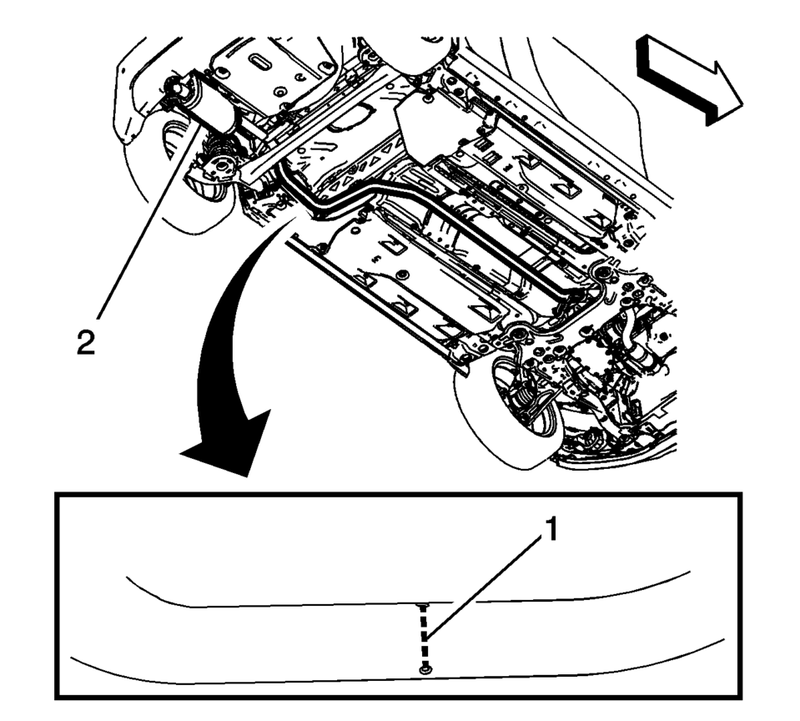 Install the intermediate exhaust front muffler (5) to the front exhaust hanger isolators (2). Install the new rear exhaust muffler (2) into the exhaust isolators. Position the exhaust front pipe (3) into the exhaust muffler clamp. There are 3 different exhaust muffler clamps depending on the diameter of the exhaust pipe.